Marian Rivera, Gerald Anderson, Kim Chiu, and more join the deafening call to push for Mali's transfer to a sanctuary. The country's A-listers like Marian Rivera, Gerald Anderson, Kim Chiu, Piolo Pascual, Maja Salvador, Dingdong Dantes, and more have joined forces to fight for the freedom of Mali the Elephant. 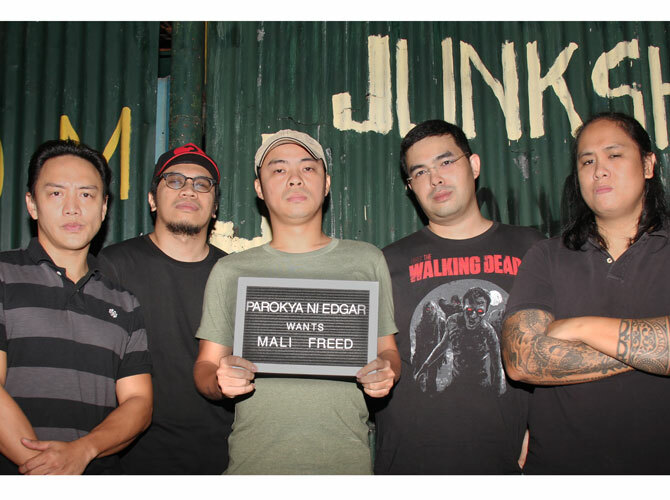 Members of Parokya ni Edgar are the latest celebrities to support People for the Ethical Treatment of Animals (PETA) Asia's campaign to transfer Mali—the solitary and ailing elephant languishing in a barren enclosure at the Manila Zoo—to a lush sanctuary where she can finally be treated for the potentially fatal foot ailments that she has suffered from for years. "Mali has been sentenced to a miserable life of solitary confinement with absolutely nothing to do day after day, year after year," says Chito Miranda. "Scientists, politicians, religious leaders, and tens of thousands of other concerned people have joined PETA in calling for Mali to be freed. We in Parokya ni Edgar do, too." Even if the elephant exhibit at the Manila Zoo were to be doubled or tripled in size, it would still not be adequate to house one elephant, never mind additional ones. While zoos around the world have spent upwards of 2 billion pesos on attempts at more appropriately-sized elephant exhibits, more and more zoos have recognized that the needs of these complex and intelligent animals cannot be met in captivity. These facilities are transferring elephants to sanctuaries and closing their exhibits. The Detroit Zoo, the ZSL London Zoo, the Greater Vancouver Zoo, and the San Francisco Zoo are just a few of the zoos around the world that are closing their elephant exhibits and transferring the elephants to sanctuaries. Mali has received essentially no veterinary care for more than 36 years, leaving her to endure constant pain from debilitating foot problems. In addition, elephants are highly social animals who naturally live in herds and suffer greatly in the absence of other elephants. Mali is all alone, making her transfer even more urgent. For more information, please visit PETA Asia's website FreeMali.com.